The San Diego State baseball team topped West Virginia Saturday night 2-1 in 10 innings on the back of sophomore Bubba Derby who was making his first start of the season. Derby normally serves as the teams closer, but Coach Gwynn decided to move him into the rotation, ” I knew eventually I was going to get a crack at the starting rotation,” Derby said. Three errors by the Mountaineers proved to be fatal, as the third one by senior pitcher Sean Carley let in the tying run making the score 1-1 in the 7th. Freshman Tyler Adkinson drove in the game winning run in the 10th on a pinch hit fielders choice to score senior Tim Zier. Good teams find a way to win a game like that, because you know it could have gone either way,” head coach Tony Gwynn said. The win now pushes SDSU to 4-2 and puts West Virginia at 2-3. 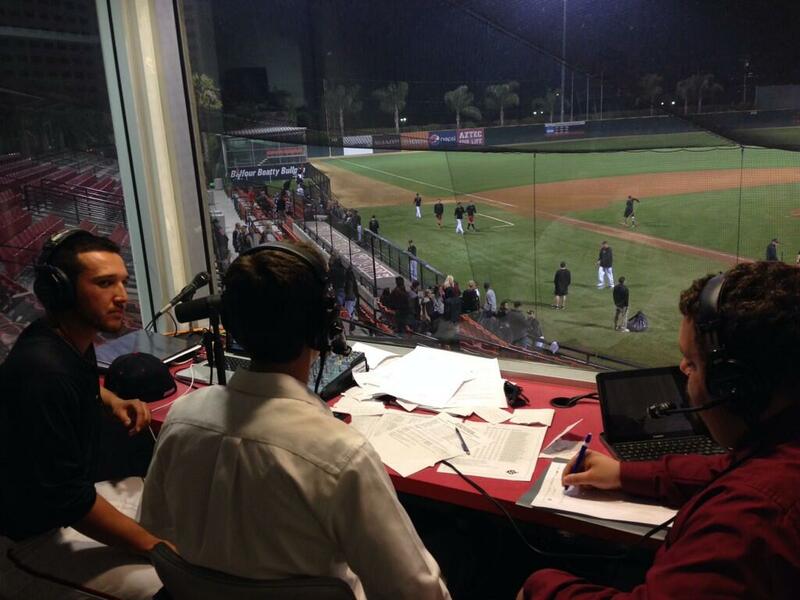 KCR will be broadcasting the game vs. San Diego live on Tuesday March 4, 6:00 p.m. Tune in! Follow KCR on Twitter to recap the live-tweets from the West Virginia game and stay up-to-date on future games.